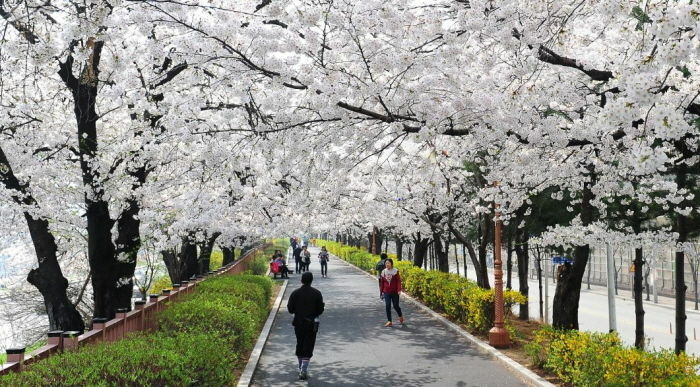 Dongdaemun Spring Blossom Festival will take place near the area of Jungrangcheon Stream No. 1 Sports Park and Janga Cherry Blossom Road. Day 1: Recreation activites, performances, opening ceremony, etc. Day 2: Recreation activities, performances, gala show, etc. Janghanpyeong Station (Seoul Subway Line 5), Exit 4. Walk for approx. 15 min in the direction of Gunjagyo Bridge.